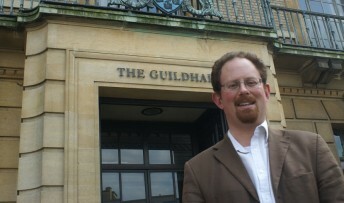 A national campaign to encourage young people to vote has been backed by Cambridge MP Julian Huppert. The My Voice, My Vote campaign supports young voters to take part in their communities as a way to encourage their involvement in the democratic process. It has been launched by the charity, UpRising and will train young people in leadership skills and campaigning techniques such as digital storytelling and they will be supported to take part in social action within their communities. With a link to elected representatives, business and civic leaders, young people will be encouraged to recognise that their right to vote gives them a say on how their local communities are run and shaped for the future. “It is really important that young people know that they have the right to say what goes on in their communities and they can exercise that right by voting,” said Julian. “Youth voting has been falling, especially among young women, and although the turnout of all voters in the 2010 election increased overall only 44 per cent of votes aged 18 to 25 took part. Julian has been a strong supporter for many years of lowering the voting age to 16. He says that our country’s conflicting rules mean young people can join the armed forces and get married before they reach the age of 18 but they are not allowed to vote. “We have young people working, paying their taxes and contributing to society in other ways yet they are now allowed to have their say on who runs their country or their local neighbourhoods,” said Julian.